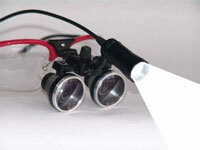 At Ringwood Dental we take every reasonable step to remain at the forefront of our profession. 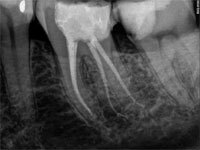 Root canal (endodontic) treatment is a treatment performed with the ultimate scope to retain a diseased tooth, that otherwise would require extraction. Several reasons (trauma, stress, decay) can harm the nerve (pulp) of a tooth with final result an infection in the tooth and the bone surrounding the tooth (abscess). The root canal treatment is completed by entering the root space and clearing out the infected tissues. 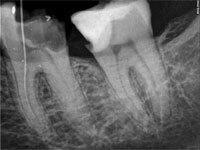 A special filling is placed in the root canals and for most of the teeth a crown is required to create a good long lasting seal on top and to protect the tooth from breakage in the long term. 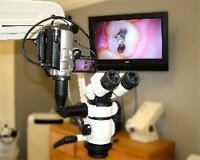 Endodontic treatment is generally very successful, with success rates reaching 95%. 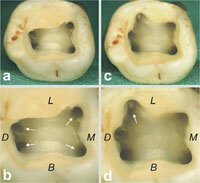 Some teeth that will not heal may require repetition of the procedure and use of special medicines in the root canals. The use of a rubber dam (a rubber sheet) that isolates the tooth is a must and makes the outcome more predictable and the procedure much safer. 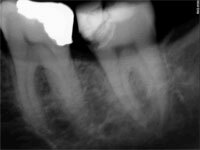 Surprisingly and contrary to the general belief (‘that was like having a root canal’) the experience is pain free not only because profound anaesthesia is achieved prior to the start of the procedure but also because most of the time the nerve in the tooth is already dead.